Kirk Thornton (born May 13, 1956) is an American voice actor known for playing sassy characters, among others, in dubbed anime and video games. His career includes Hotohori in Fushigi Yuugi and Jin in Samurai Champloo. He also played numerous cameos and minor characters in Rurouni Kenshin, in addition to the major character of Hajime Saito. He also does Don Patch in Bobobo-bo Bo-bobo as well as Gabumon and other voices in Digimon. He is even the English voice of Jet Link in Cyborg 009, as well as Kisame Hoshigaki in Naruto and its sequel, Naruto: Hurricane Chronicles. As of 2010, he's the English voice of Shadow the Hedgehog. According to Anime News Network, Thornton has the most credits of any male voice actor and he is second in total voice actor credits only next to Wendee Lee. He has been in nearly two hundred voice-over productions for Japanese animation.note This is only for anime. 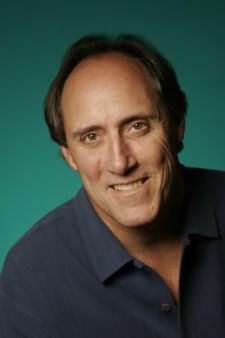 Thornton is also well-known for having played many different minor voice roles throughout the Power Rangers franchise (and similar series such as VR Troopers and Masked Rider). Thornton has also had experience with ADR direction. He also co-directed the ADR for the first 168 episodes of the popular anime series Bleach alongside Wendee Lee. Thornton's career is difficult to track, due to the multiple names under which he has been credited. K - Daikaku Kokujouji, Yuujiro Benzai, Saburouta Bandou, the Prime Minister, and more. Soul Calibur V - Male Custom Voice "Veteran Knight"
Whoa, what a massive description. I can't wait to take a break. I hereby order you to cut the chatter!